A life-sized replica* of Noah's Ark is now open to the public in the Netherlands. Dutch millionaire Johan Huibers constructed the ark, following the measurements recorded in the Bible. It is complete with animals (plastic). 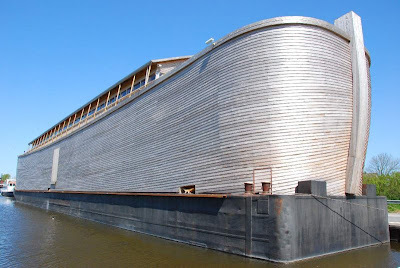 The ark took four years to build and though Huibers had planned to sail it to the London Olympics, which opened last week, he wasn't able to make it after being asked to clear everything with the fire department first, according to Sky News. Huibers had built a smaller version of the biblical ark in 2007. That first ark drew hundreds of thousands of visitors. 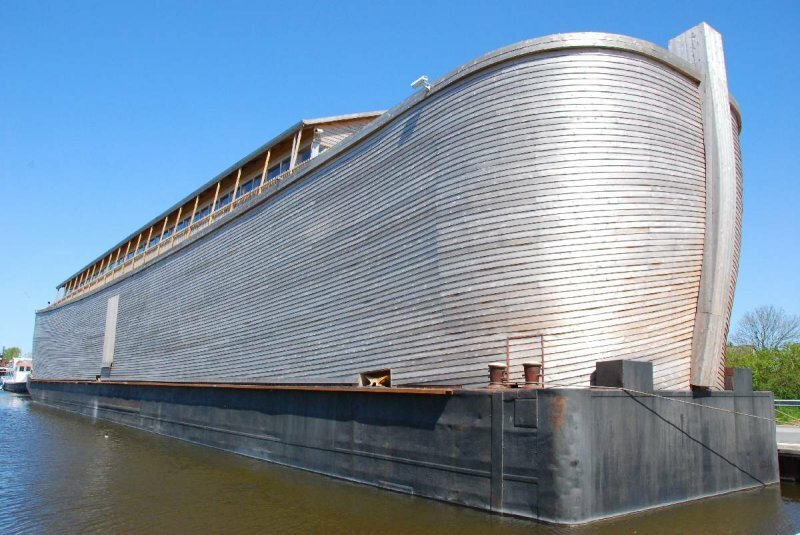 The successful construction company owner has stated that his goal with the ark is to point people to the Bible and God. Deborah Venema-Huibers, manager of the ark, noted to Sky News that they have been receiving requests from people worried that the world will end this year, according to conspiracies related to the Mayan calendar. Dec. 21, 2012, marks the end of the Mayan calendar, and some believe the end of the world will fall on that day. Meanwhile, Christians have emphasized that no one can know the date of the end times, as stated in Scripture. The Huibers have rejected the requests for space on the ark, telling them that it is a museum and not a "rescue boat." The account of Noah's Ark is recorded in the first book of the Bible. Noah, deemed the only righteous man in the wicked world, was given detailed instructions by God to construct an ark that would save him, his family and two of every kind of animal as God would send a flood to destroy all living creatures on earth. * It was built approximately to scale, however is 1/2 the length and 1/3 the width of the Biblical dimensions. 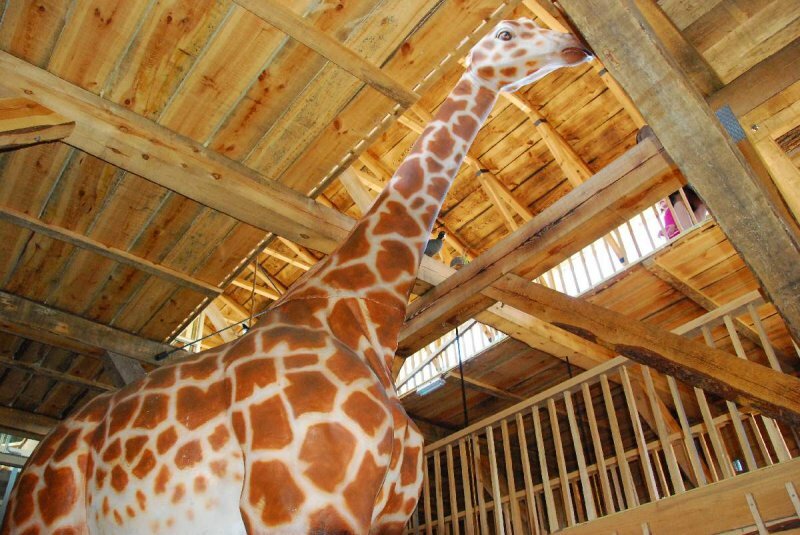 It was built to show the world how massive the Ark was and how so many animals could have been housed for a long time. It was built in smaller scale so it would be able to travel around Europe, navigating the canals, bridges, and rivers en route. The historical Ark had the same capacity as more than 500 train boxcars.